Well it's nice to see all these explanations for *that* spelling (which I refuse to type lol) but I can't help thinking that Libby is right: most people will judge it from their first reaction when they see it... and that ain't (in many cases) a good reaction! Probably something like "too clever by half" or just plain "weird zOMG lolz :3 !!!" Still, ᗅᗺᗷᗅ did it, and they did alright I think so I hope they survive it and do well. Not as well as Hayley next week though, roll on the CWC concert! Meanwhile, I've now found more precise timings for the Christchurch Opening Event, on Sport Canterbury website. The ICC Cricket World Cup 2015 opening event will be a spectacular light and music display. featuring some of New Zealand’s finest entertainers. 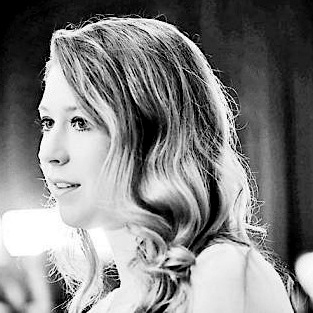 Hayley Westenra, Ginny Blackmore, and Sol3 Mio will feature in the opening ceremony, as well as cricketing legends Sir Richard Hadlee, Stephen Fleming and New Zealand captain Brendon McCullum. We will welcome teams and officials and finish with one of the biggest fireworks display Christchurch has ever seen. It will start at 6.30pm with a giant game of backyard cricket. Targeted primarily at families, this will feature local cricket teams, roving entertainers, and New Zealand cricketing heroes. The main event will then run from 8.30pm to 10.00pm. - The Welcome – produced in partnership with Ngai Tahu. - The Christchurch Story – a visual display. - Come and play in my backyard – based around a young child with dreams of cricketing stardom, this will feature live and video appearances by a number of New Zealand sporting and cultural legends. So it looks like Hayley will perform in either the Pre-Ceremony Show starting at 8:30pm or in the Opening Event starting at 9:15pm NZDT and ending at 10:30pm. This is 7:30am to 9:30am GMT/UTC on Thursday 12 February, according to my calculations. But for continental USA, the start will be at the earliest 11:30pm Wednesday evening (for Libby) and even later elsewhere. Still, ᗅᗺᗷᗅ did it, and they did alright I think so I hope they survive it and do well. I can't read the four characters underlined, but copying and pasting them into Google indicates they spell ABBA, with the second B reversed. At least ProBoards can cope with the figure 3! I just copy/pasted it from the Wikipedia Abba page en.wikipedia.org/wiki/ABBA can you read it on there? First line. Displays fine on my computer, all 3 browsers I have, but not on my daughter's tablet. It seems that all computers are not the same! We're a wee bit off topic, no? We now know that the Redcliffs Primary School is the choir that is supporting Hayley. This is appropriate as their school has been closed since the earthquakes because the cliff behind the school is very unstable. They have been using another school in Sumner. But at least a backwards B still looks like a B. A 3 just looks like a 3! I can't see the correct characters on Wikipedia either. I've tried all available encodings without success, so I've reset the computer to Unicode. I have the same problem with some Instagram posts too. Published on Thursday, 5 February 2015, 12:32 p.m.
We have been selected to sing with Hayley Westenra at the opening of the Cricket World Cup! 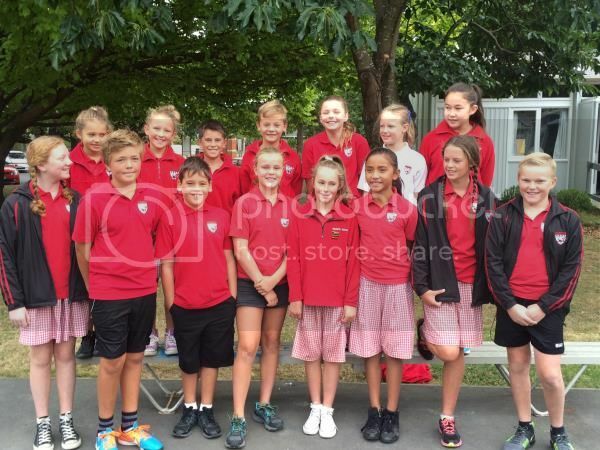 15 Redcliffs School choir members will represent us on Thursday 12th Feb at the opening ceremony. What an amazing and exciting honour. Here is our choir hard at work learning the songs each day. For UK viewers, sadly, not much will be shown on TV of the opening ceremonies in Christchurch and Melbourne. There will be a one hour recorded highlights show at 6:30 pm next Thursday covering both ceremonies and it isn't even clear if anything from the associated concerts will be shown at all. Deduct 15 minutes of adverts and the remaining 45 minutes will be barely enough to show all the usual boring speeches I'd say, we can but live in hope. Poor show from Sky UK, very poor indeed. Now where's that complaints email address? They do often make late changes to their schedules by the way so given enough enquiries or complaints, more of it could still appear and there's very little they'd have to do to show it as it will be fed Worldwide by Star Sports who hold the main rights (but sold to Sky in the UK). Well, maybe we'll have to depend on Ross to get a recording for us? Many thanks for doing that Ross, as we discussed, because we may only have one or two possibilities of seeing Hayley's complete involvement outside Australia and New Zealand! Otherwise, it seems to be pot luck whether or not Hayley is shown in highlights programmes later in the day, at best. A related programme that I've found on Sky Sports 2 in the UK is on Tuesday evening at 9pm: Cricket Special: Resume Play which is described as "How cricket helped the residents of Christchurch in New Zealand recover from the 2011 earthquake that severely damaged the city." This may be of interest to some of us and I for one will be watching and recording it. It may be a repeat of a programme broadcast some time ago, that isn't clear, and it's also going to be repeated several times during the Cricket World Cup. Finally, another Hayley event to look forward to. I think it will be sometime on Friday before I get to post the videos. But I was just watching the Prime News in NZ and it showed Hayley holding the Cricket World Cup and she also talked to the media. It was a TV 3 clip so hopefully it will be on TV 3 news at 6pm (shortly). I have taped the clip and will post them later tonight .